Leakster Ben Geskin tweeted a photo showing the front glass panels for the three iPhone models Apple is expected to announce this September. All the panels sport the now infamous notch and while all of them are edge-to-edge displays, the 6.1-inch panel has slightly thicker bezels compared to the other two. News about the impending iPhone successors have been doing the rounds for some time and by now, we have a somewhat hazy picture of what to expect when Apple officially unveils them in September. 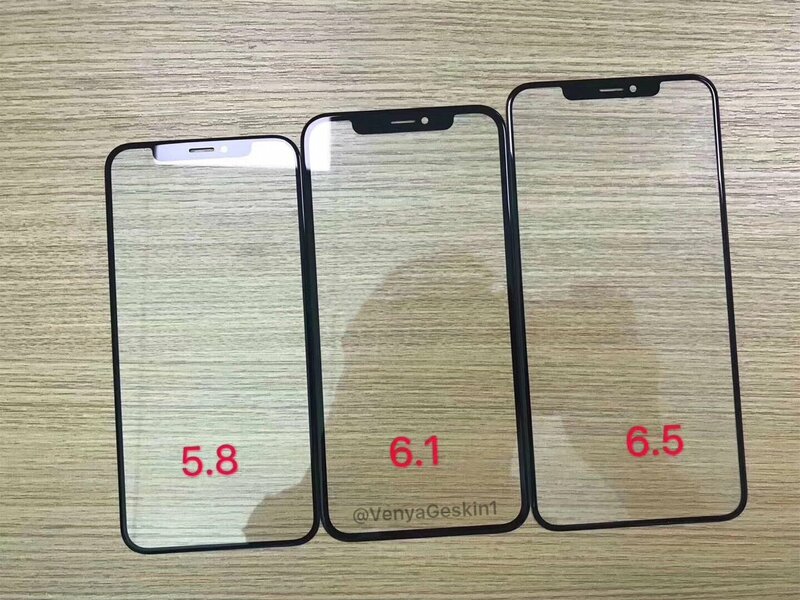 That hasn't stopped the leaks from making their way to the interwebs though, and the latest is a picture showing the actual front panels of all the three iPhone models expected to launch this year. Famed leakster Ben Geskin posted a picture on his Twitter timeline that shows all the three panels side by side. The panels come in 5.8, 6.1, and 6.5-inch versions and feature edge-to-edge displays along with the notch. The 6.1-inch panel, however, has slightly thicker bezels than the other two. From what we know thus far, there will be not one but three models of the iPhone this year. All three models will inherit the iPhone X's design implying that Apple could be transitioning to Face ID and forego Touch ID altogether in this generation. The 5.8 and 6.5-inch models are expected to feature OLED displays and similar internals including stacked logic boards and batteries, with the 6.5-inch being the flagship. The odd man out is the 6.1-inch model, which is expected to tout an IPS panel, a standard logic board, and a standard battery. 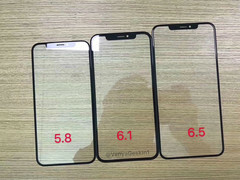 Of the three, the 6.1-inch panel will have slightly thicker bezels as seen from the front panel photo. There are also reports that the new iPhones could be available in multiple color options. The 6.1-inch variant could also be priced competitively at around US$550 and sales are expected to carry on well into 2019. A similar photo has made its way to Slashleaks posted by user Dimitri12 and from the looks of it appears pretty legit. Apple's September event is expected to offer a lot to the fans apart from just new iPhones. A refreshed Mac Mini, iPads with Face ID, CPU upgrades for MacBooks and iMac, and a new Apple Watch all make for an interesting keynote. We will bring you all updates in the run up to the September event so watch this space.